Guess where I am? If you are reading this between 6-8 am EST, I am waiting to board a plane. Reading between 8:20 and 11 am EST – I am on a plane. After 11 am EST – I’M IN FLORIDA! Sweet, sweet vacation has finally arrived. But don’t worry, I went on a massive cooking spree recently to make sure that I’d have enough recipes to keep you occupied while I was gone. See how thoughtful I am? I didn’t intend for all of the recipes I’ve been posting lately to be from the same source, but it just worked out that way. Like most people (I think) I tend to go a bit overboard when I find a new recipe source. As I flipped through the cookbook, I had a serious case of MAKE ALL OF THE THINGS! And then I was slowly able to narrow it down and actually make some recipes. You know how I feel about muffins. I am ALWAYS on the look out for a different muffin recipe. And one that called for lemon yogurt, lemon zest and lemon extract? I was all over that. In my head lemons = spring and I would do anything to keep this season around. Including believing that cooking/baking with lemons will do it. 1. Preheat the oven to 375. 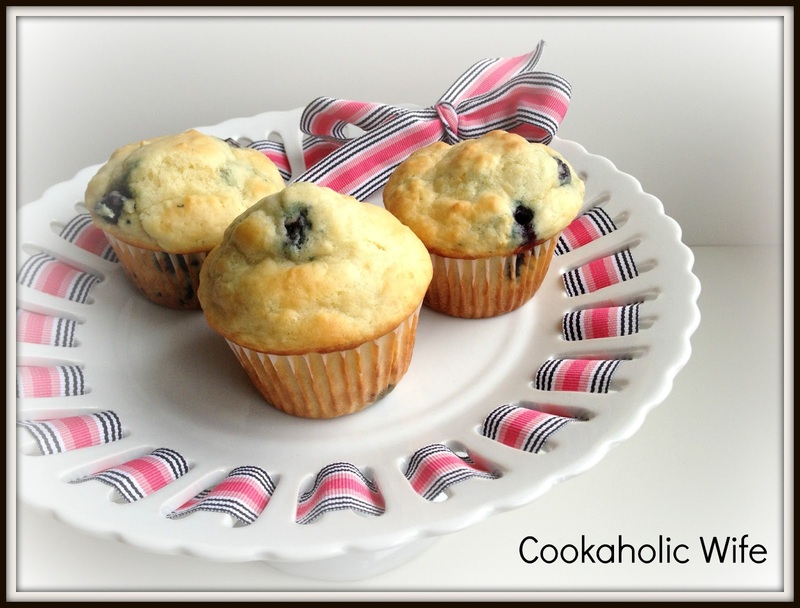 Line a muffin pan with 12 paper or foil liners. 2. In a medium bowl, combine the yogurt, milk, butter, egg, zest, and extracts. Stir until combined. 3. In a large bowl, combine the flour, Splenda, sugar, baking powder and baking soda together. 4. Add the wet ingredients to the dry and stir with a wooden spoon until combined. Gently fold in the blueberries. 5. Divide the batter among the muffin pan, filling each cup 2/3 of the way full. 6. Bake for 17-20 minutes or until lightly golden. Transfer to a wire rack to cool completely. Would you believe I still wouldn’t have minded more lemon flavor with these? I think adding in the juice of the zested lemon would have been a nice touch. Most of these had a very nice muffin height to them which makes me incredibly happy. I don’t know why I’m amused by tall muffins, okay? Don’t they just scream SPRING? Yeah, I thought so.